James Bastien was born in Bellingham, Washington, on April 10, 1934. His father, Clarence, was musical and played the violin. His mother, Dorothy, was a writer and a high school Latin and journalism instructor. After living in Seattle and Florida, the family moved to Portland, Oregon, where Jim began his piano studies with Frances Mulkey North. Subsequently, Jim studied with the late Ariel Rubstein, the late Louis Artau, and the late Gyorgy Sandor. Jim received his undergraduate and masters degrees from Southern Methodist University. He was a former member of the faculties of Notre Dame University, Tulane University, Loyola University (New Orleans), and the summer faculties of Tanglewood and the National Music Camp at Interlochen, Michigan. Jim met his wife Jane Smisor in New Orleans in 1960. They performed as the duo-piano team, Smisor and Bastien. In addition, Jim was a Columbia Artist accompanist whose collaborative career included appearances with Richard Tucker and John Alexander. During this time Jim and Jane started writing music to address the needs of their students. 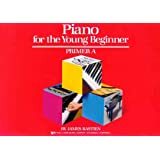 This was the beginning of the Bastien piano books that have inspired so many piano students and teachers. The Bastien piano books have been published worldwide by the Neil A. Kjos Music Company since 1963 and are now translated into 14 languages. In 1999, The Music Teachers National Association presented Jim and Jane with the Lifetime Achievement Award, the association's highest honor, in recognition of their outstanding career in music and contribution to the music profession. James W. Bastien, loving husband and father, and a passionate piano pedagogue and musician, passed away on December 7, 2005, in La Jolla, California. During his long career, Jim became internationally known through his contributions to piano teaching, composing, writing, adjudication, and performing. 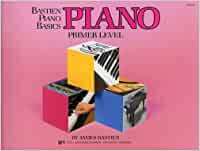 With more than 300 publications to his credit, the Bastien name has become synonymous with innovative piano pedagogy. Good method. Nice illustrations to make it fun and songs that the kids know. I learned by this book over 20 years ago. My daughter is using this for piano class. I think it’s very user friendly. So easy to purchase. Great quality and fast shipping! 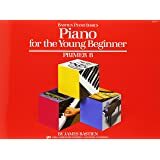 My daughter learned how to play piano with this book in a few weeks. No expert yet, but one day. Not bad but really used.